Recreate the epic mayhem and crime fighting thrills of DC Comic's Suicide Squad movie. 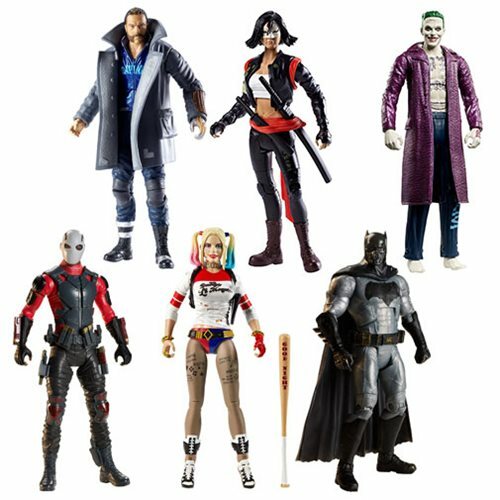 Inspired by the film, these authentic action figures feature over 18 points of articulation, true to movie details, iconic suits, and ominous expressions. Each figure also comes with a Collect and Connect bonus piece that, when added together, creates a Killer Croc figure!